Hearing the name the first time, I’d imagine fried fish eaten with potato chips, which surprised me for a bit. Little did I know that “chips” were not “potato chips” but more of “slightly thicker French fries”, and pretty close to Belgian fries (minus the mayo). 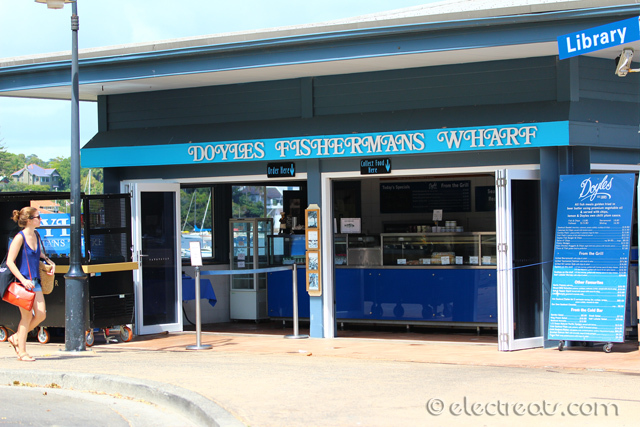 After tasting fish ‘n chips from multiple places, I heard about Doyle’s on the Wharf Restaurant as a go-to for those fish ‘n chips aficionados looking for nothing less than the best. Well, how does Doyle’s measure up? 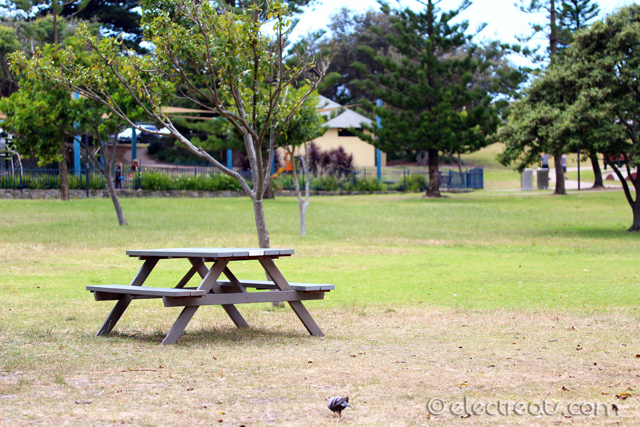 Let’s take a ferry ride from Circular Quay to Watson’s Bay! 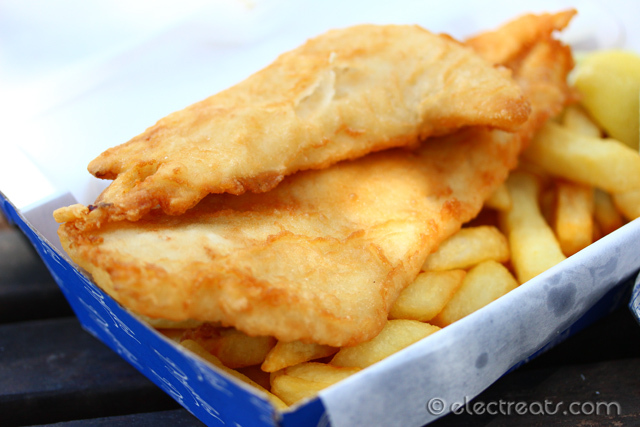 Fish ‘n Chips ($13.80). A piece of fish golden-fried in beer batter using premium vegetable oil & served with chips lemon & Doyle’s own chilli plum sauce. 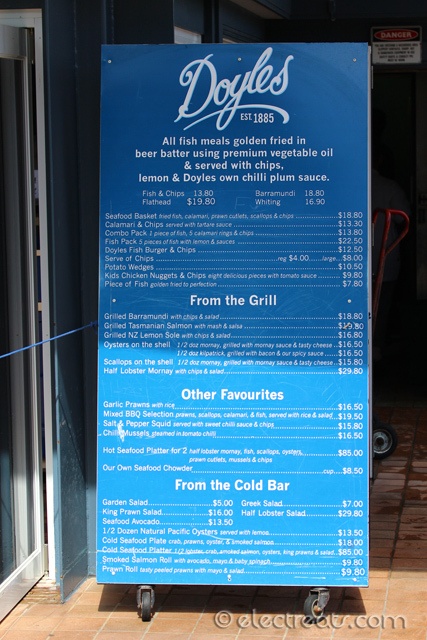 You can choose other kinds of fish such as Barramundi ($18.80), Flathead ($19.80), and Whiting ($16.90). 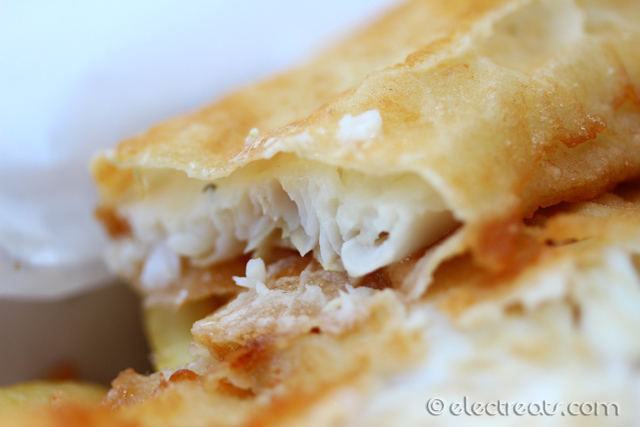 The regular fish is usually Atlantic Cod or Haddock. It was pricey for such basic dish. 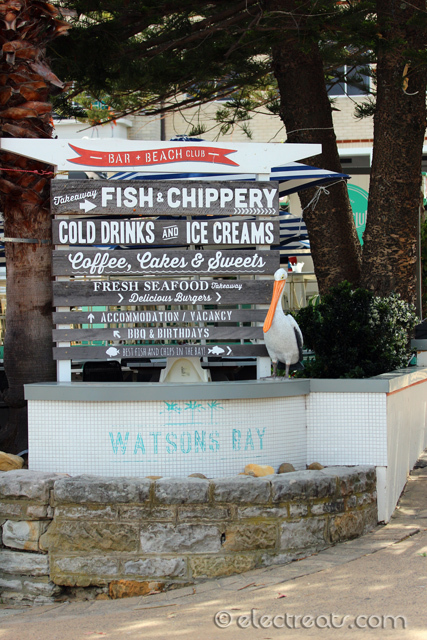 Anyways, I can say their fish ‘n chips is better than some I’ve had, but I don’t dare say it’s the best. The fish was fried nicely and didn’t leave a bad after-taste. However, didn’t you notice something was missing? Yes, sadly it didn’t come with the familiar tartar sauce. 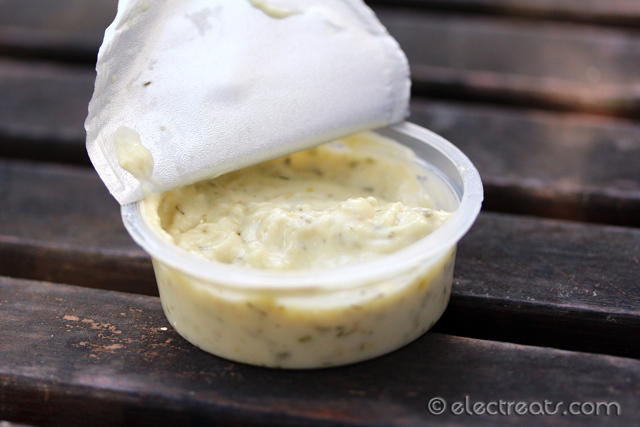 Tartar Sauce ($1.50). Fish ‘n Chips by itself is bland to my taste. 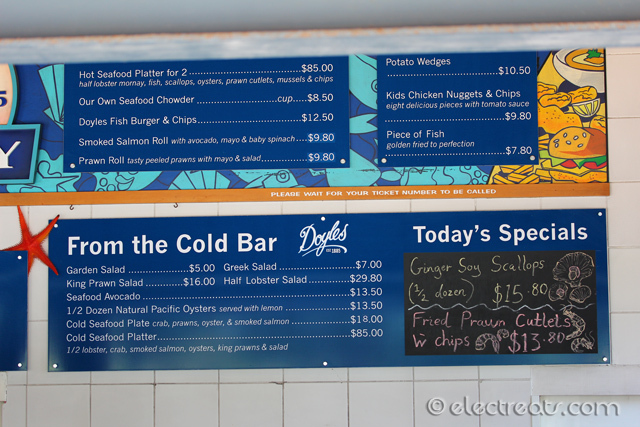 Sure, they served it with chilli plum sauce but to me it wasn’t enough, so I shelled out another $1.50 for their tartar sauce. 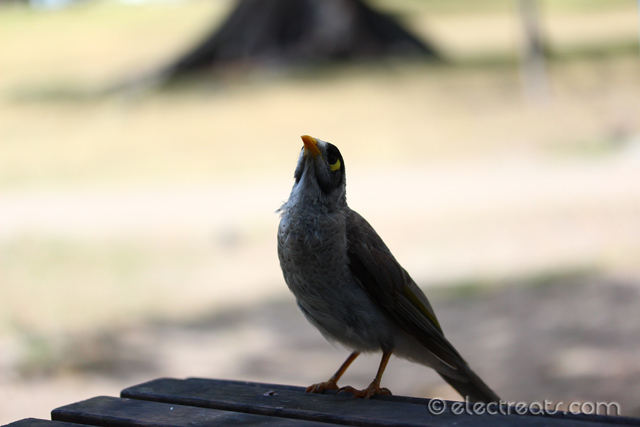 I wasn’t keen on paying more on top of the already-expensive dish, but it proved to be a good decision. 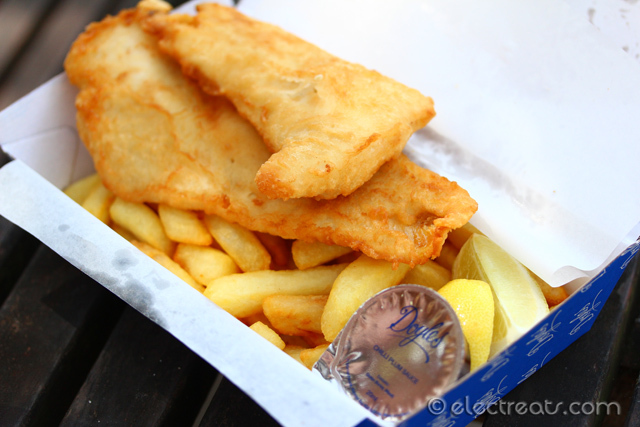 Their tartar sauce was much better than their competitors’, and complimented their beer-battered fried fish very well. The meat was flaky and I loved the right thickness of the batter. 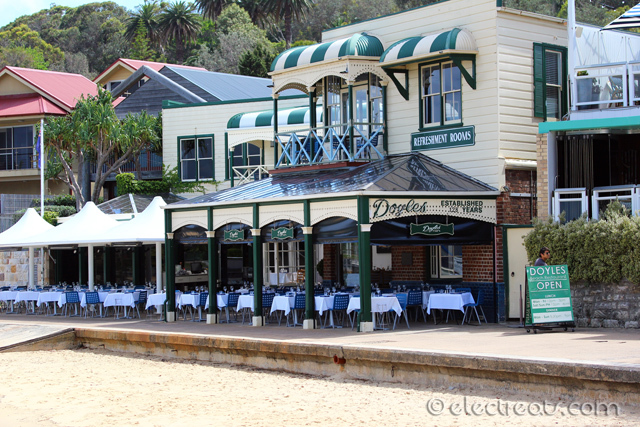 You can’t miss this place, it’s right there as you get off from the ferry. 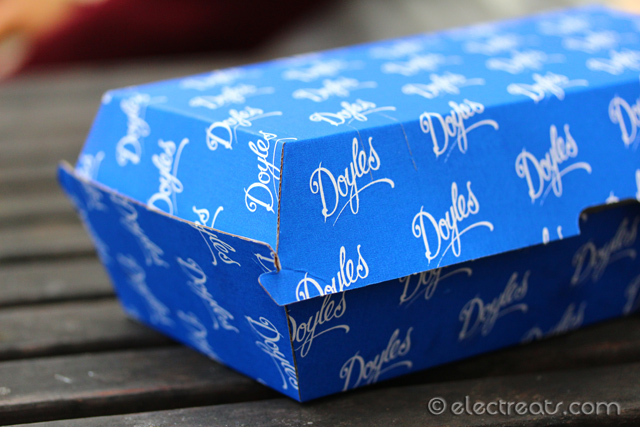 Doyle’s Takeaway Box. It’s just a box but I love the solid-blue design.